If the Legacy Collection were a person, I'd say to it, "Stop it. You are SO fabulous". STOP IT. You are so FAB-U-LOUS. I think this line was designed with me in mind. 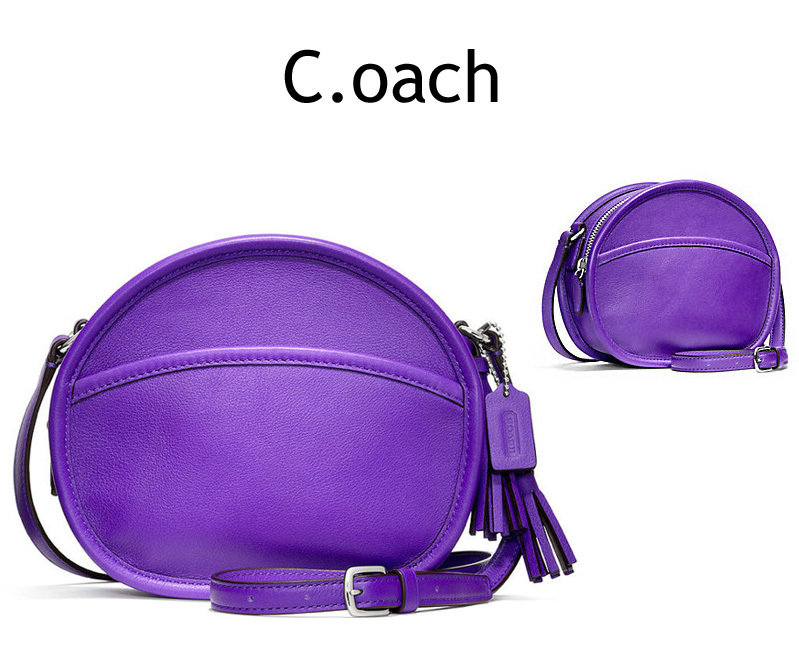 It's like Coach got into my head and created everything I could have ever wanted in any bag silhouette... EVER. Did I mention that it's ultraviolet? I saw this bag in person on a friend, ogled over it, and next thing you know, it's in my Macy's checkout bag. Don't normally like purple, but wow that is pretty! i'm no stranger to the fashion blackout! sometimes i'm like i really have no idea how it happened but i guess i own this now! amazing color, can't wait to see how you wear it! super duper cute! love that color! I want this. I want this so bad and it's driving me mad.